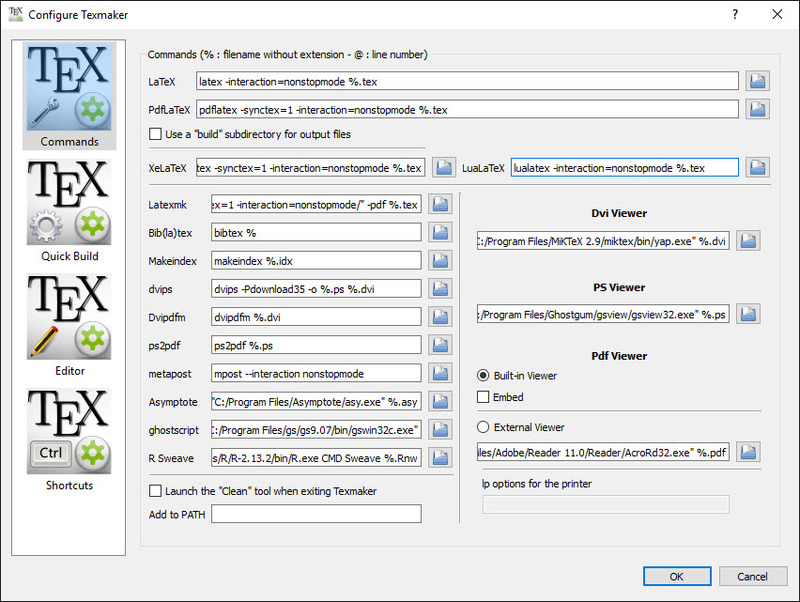 Texmaker is a free open source cross-platform LaTeX text editor for Windows, linux,macosx and OS/2.It is released under the Open source GPL license. 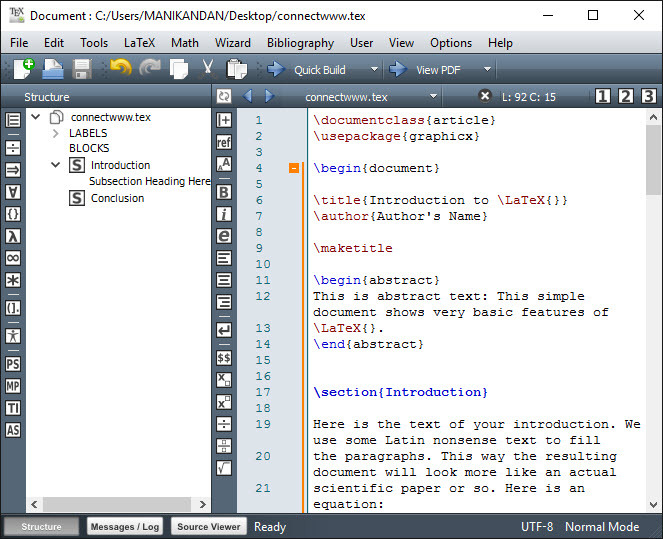 Mainly LaTeX is a document preparation system and not a word processor. TO know more about LaTex click here Texmaker provides so much tools to develop documents with LaTeX. The Main features of Texmaker are unicode support, build-in spell checking and pdf viewer for your documents, code folding and auto-completion and with morethan 370 mathematical symbols. Some other features are Full asymptote support, Regular expressions support and Error Handling. Download Texmaker from below link. The downloaded file size is more than 50MB in windows, 45MB in MacOS, 8MB for Ubuntu. It is also available for Debian,Fedora, OpenSuse and Archlinux in their package file.